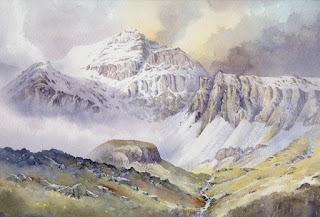 This entry was posted in David Bellamy, Mountain Painting Scale Figures Composition, mountains in watercolor, Painting Figures, Painting Mountains, Uncategorized by David Bellamy. Bookmark the permalink. Once I read your comnents about where the figures are in the painting, and searched for them, ( being at least half blind, it was not easy to spot them), but yes, they do impart a real sense of scale. Thank you. 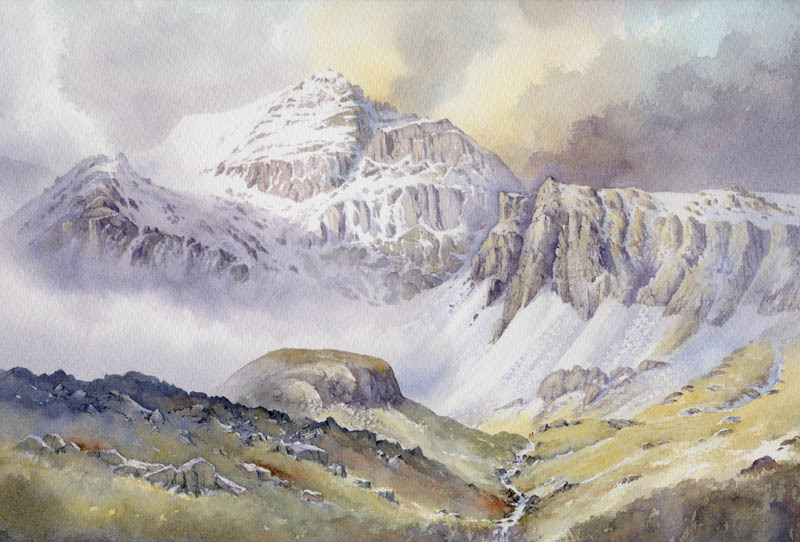 reminds me of the lovely scenery around Zermatt in Switzerland.